And at a slight angle with more perspective to the inner reflections. The Zeiss Victory FL at a slight angle. It has no unwanted internal reflections. The inner construction of the Zeiss was done with more attention to detail. More on that later. Now how do these beauties perform in use? 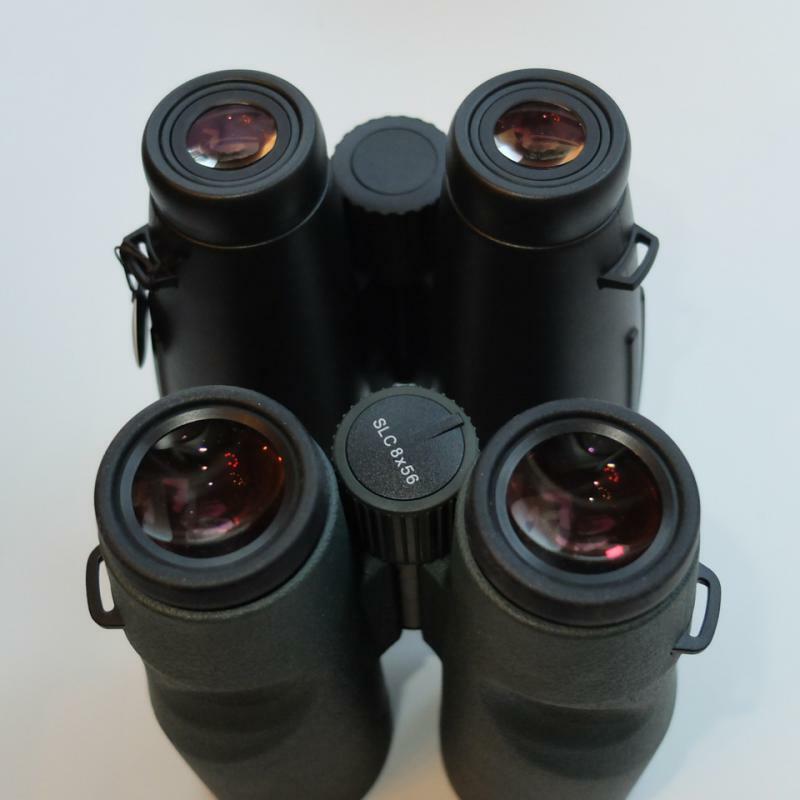 Thanks for your efforts in reviewing these premium binoculars. The forum awaits your comments on how they perform in use. Given that the new Swarovski line includes a 15X56, I'm wondering if someone who owns the venerable Zeiss BGAT 15X60 would have any incentive to own the new Swarovski 15X56. I realize the question is a bit off the topic of this thread that compares the Zeiss FL 8X56, 10X56 to the corresponding new Swarovski SLCs. Thanks for any insight you can offer regarding the new Swarovski 15X56 SLC. Happy birthday. Are those good glasses for your birthday gift? 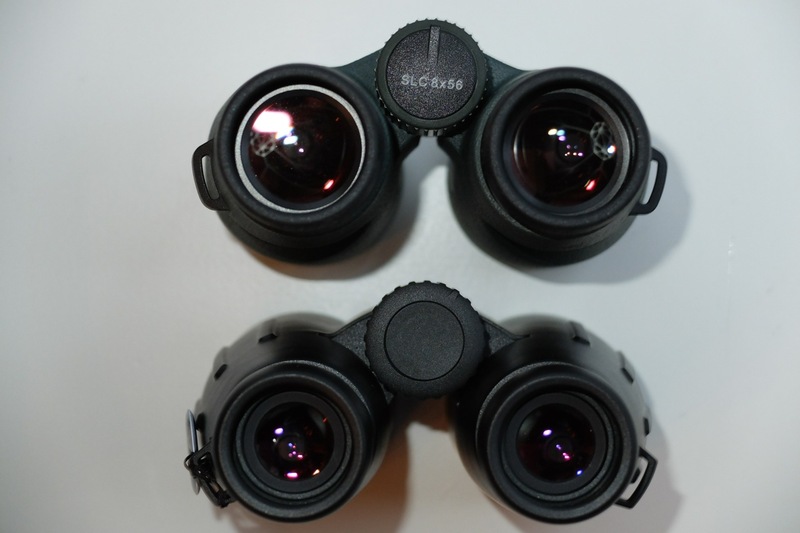 Thank you so far for your outstanding report and comparo of these two 56mm reference class binoculars. Great pictures, great reading! Your further findings and conclusions are hot awaited. I concur! A breath of fresh air, actually. Much more interesting topic than many of the threads here lately. I eagerly await the reports! The Swarovski SLC 56's (SLC) and Zeiss Victory FL 56's(FL) in actual use! The first thing you notice when picking up these is their heft. These are serious observing equipment, be it daytime or under the stars. Rubber armor has a more sophisticated feel with the Zeiss. And more like a hunting boot in the Swaro's. Both work well, but with an edge for the Swaro in providing a grippier surface in the cold. The Zeiss are warmer in the hand though. Call it a draw. Focus is smooth and precise in both the SLC's and FL's. The FL's focus much closer than the 6 meters of the SLC's, but who buys a 56mm monster to look at butterflies close-up anyway? Adjusting interpupillar distance is smooth and solid. Once adjusted, it stays put in both. Any of the SLC's feels exactly the same in use with respect to focus, you could not tell them apart blindfolded. Not so with the FL's. Some are smoother than others. The good news is that you can adjust them, either by yourself or by the Zeiss service department. I would prefer them to be adjusted more similar to each other at the factory. Internal blackening and mounting of the prisms and internal lenses seems to be done with more care and sophistication in the Zeiss FL's, as the pictures clearly show. 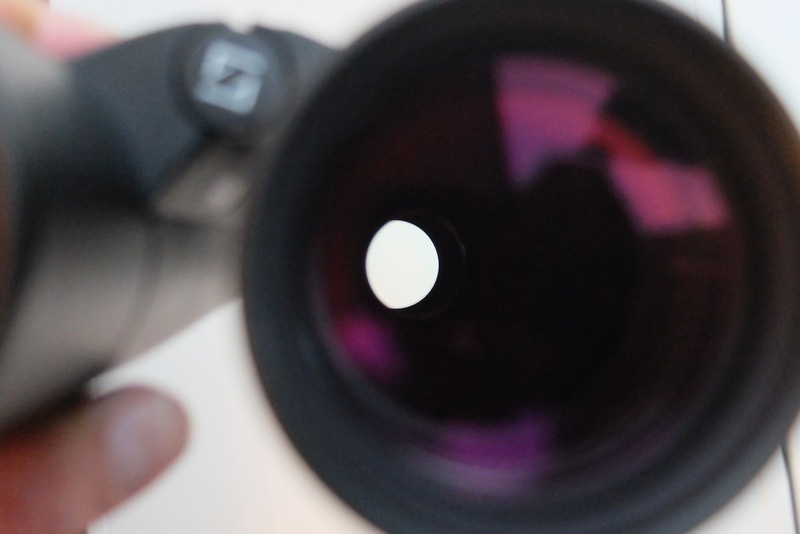 The Zeiss give the feel of a money-no-object effort to build the most perfect 56mm binos Zeiss could. The Swaro give the feeling of building a superb 56mm bino at a price point. Superb, but with some cost-cutting design decisions. Shiny ocular rims in a high-end bino? Come on Swarovski! Collimation in all the Swaro SLC's was perfect. Not so in the Zeiss FL's. The 10x56 was perfect too, but the 8x56 was ever so slightly out of alignment horizontally. Within spec and adjustable per factory service of course, but not perfect. Field stops in all SLC and FL binos were perfectly round with sharp, clean edges. Eyecups in both are adjustable. Smoother in the Swaro, better resting position at the settings in the Zeiss. In the FL's, the eyecups are a little smaller and more rounded, allowing better positioning of the eye IN the eyecup and better shielding of stray light in the Zeiss. The Swaro's have a wider eyecup, so they keep a little more distance between the eye and the ocular. For my anatomy, I prefer the Zeiss. Both SLC and FL feature enough eye relief for eyeglasses, but with a slight edge for the Swaro, especially the 8x. I observe without glasses, so take that into account when reading on. With the Zeiss, the view is slightly more wrapped around the eye. You can really look around in the image, as in being in a tiny sphere. The Swaro's present the image with a little more distance, more like looking at a perfect round projection screen at a short distance in front of you. These are subtle differences exaggerated a little to make a point about how these images feel to observe and take in. The 56 SLC's are the first and only Swaro's to use the same prisms as both the Zeiss 42 and 56 Victory FL's: the legendary Abbe-König prisms. These have full internal reflection and do not need a reflective silvered surface. This means less scattered light, a few percent higher light-transmission and no degradation of reflective prism coatings over time. Both the SLC and FL bring light to a focus point with such precision that they feel like portable apochromats. By choice of glass and coatings, the Swaro's have the most neutral color presentation of the image. The Zeiss' images have a slightly fluorescent blue sparkle to them, almost like a slightly electrified image. Again exaggerated a little for the sake of clarity. But real and observable for the experienced observer. Under certain low light conditions, this gives the effect of the Zeiss seemingly showing a ever so slightly brighter image of landscapes and animals at dusk or dawn. But not repeatable under the night sky at stars. Off axis, the Swaro's clearly present a sharper image than the Zeiss. The correction is very good almost to the very edge in the Swaro, where the Zeiss become increasingly astigmatic from say 75% out towards the edge of the field. The bigger field curvature in the Zeiss comes into play here too, but I could not refocus the edge to perfect sharpness. On axis, the Zeiss FL's are very sharp. Side by side observing the first quarter Moon, the Zeiss showed a bit more detail and 3-D in the center of the field. Slightly more, but there. The SLC's still showed a magnificent image though. And through the 3x booster, all the SLC's and FL's showed sharp and almost color-free stars. When observing objects near and far and under a range of light-conditions, the 8x56 are the better choice. They have much more depth of field, allowing more of a 3-D scene to be in focus at the same time. Thus a bird flying towards you in a scenery of trees is very easy and enjoyable to observe in the 8x, but can be challenging in the 10x. 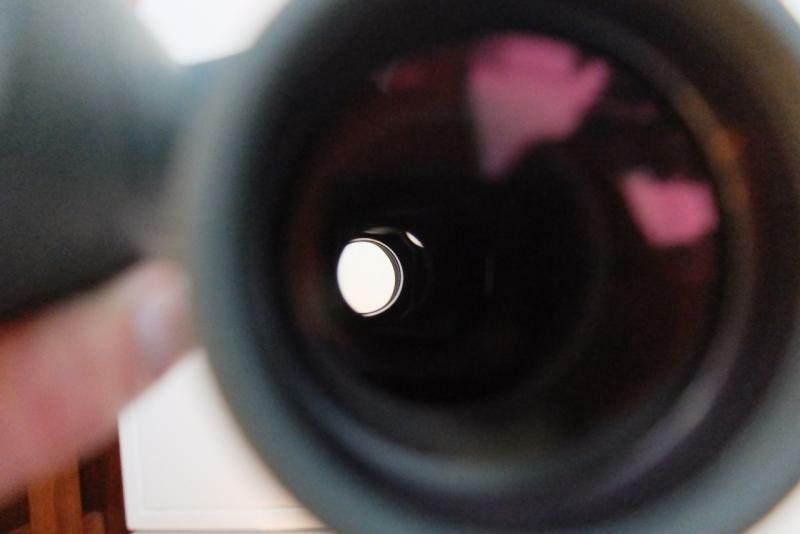 The 10x do better when observing distant objects, say at the horizon. Or objects that don't move very fast closer to you. Under low-light conditions, the 8x are brighter. Under the stars, the 8x are wonderful as allround binos. They fit the belt and sword of Orion nicely in one field. Or show you the Heiades in all their glory. They are not for detailed deep-sky observing. The 10x show more detail on the night sky, showing more nebulosity in M42 or a more dramatic view of the Pleiades. Over time they do become more shaky than their 8x cousins. And to me, as an only binocular, the 10x56 lack the critical overview the 8x56 provide of deep-sky objects in their surroundings. After many nights and days with these wonderful binoculars over the course of 3 weeks, I would choose the 8x over the 10x personally if I could have only one binocular. Calmer, brighter views. Greater depth of field during daytime observations. Wider fields. For handholdable big binoculars, ergonomics is everything. Here the new SLC's excel. They fit the view of a 56mm bino in a body that feels surprisingly close to a 42mm. Yes, the Zeiss are even better (slightly) on-axis and are built better with more attention to the details. But as an overal viewing experience, the SLC's do better. I do hope Swarovski improve on some details. And make them available with black rubber armor too. That would bring them close to being the perfect 56mm binoculars. 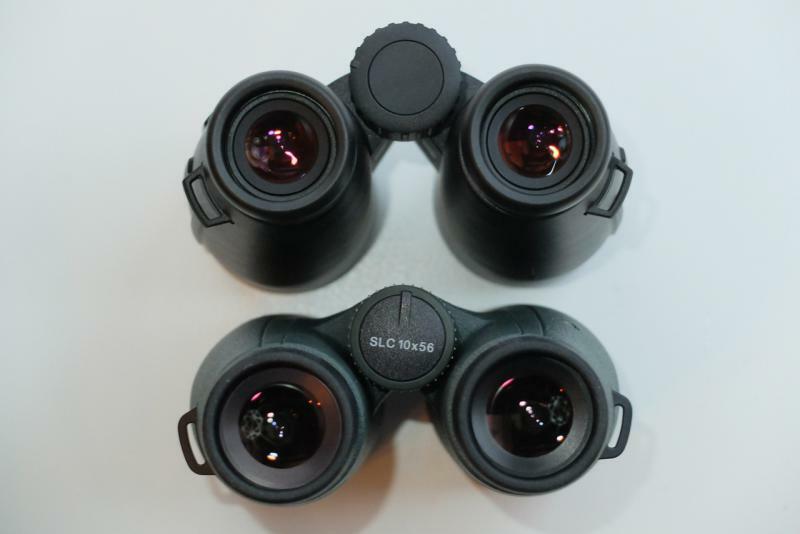 But ultimately out of all the SLC and FL 56mm models, I would get the 15x56 SLC for detailed hand held stargazing. It is the ultimate hand-holdable power house. Team it up with a nice compact 8x42 or 8x32 and you are good to go. In closing I can only say that all these 56mm binoculars provide a wonderful viewing experience and great pride of ownership. 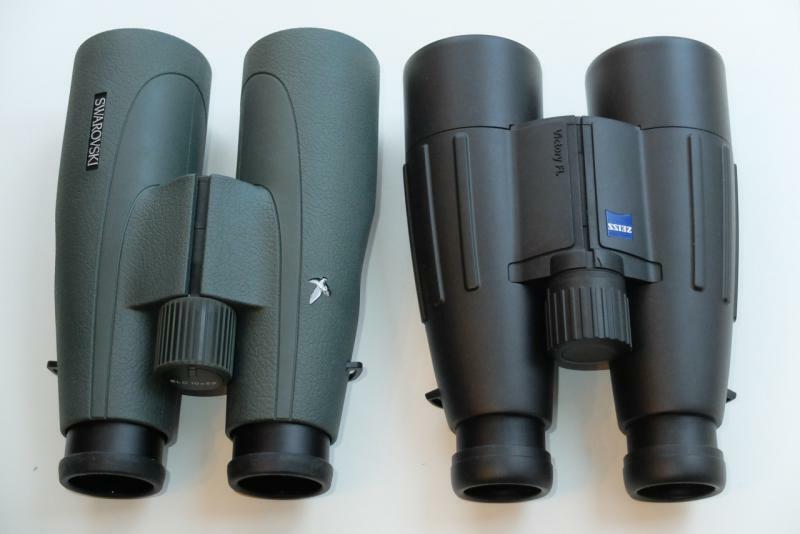 The Zeiss are still superb despite their age and will likely be the last of the great Zeiss Made in Germany superb quality binoculars. Their owners will likely continue to enjoy their stunning on-axis performance for decades or more. The new Swarovski SLC 56mm binoculars are also very enjoyable hand-holdable 56 mm binoculars currently in production because of their revolutionary ergonomics and balance. 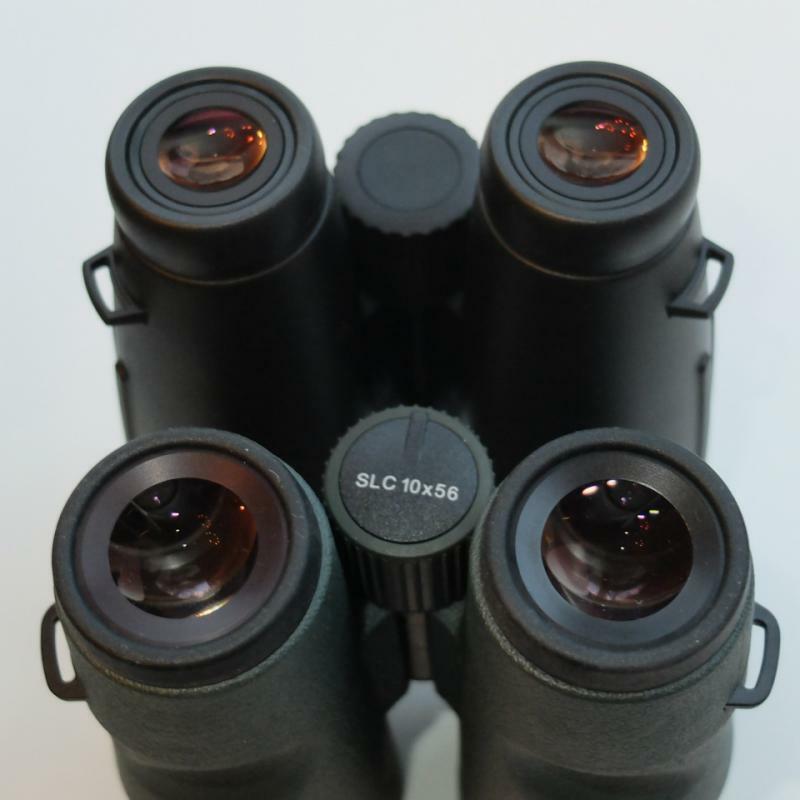 And their SLC 15x56 WB model is a stunning blend of magnification, image quality and ergonomics. Thank you Erik for that most carefully worded and very well presented comparative review. For some reason, before reading it, I'd expected your overall impressions to have been slightly more in favour of the Swarovskis than they turned out to be, with your diplomatically phrased conclusions bringing to mind many of those from yesteryear by the likes of Stephen Ingrahams in his "Better View Desired" reviews, Ken Rosenberg, and by Michael and Diane Porter. They are clearly all very, very good binoculars, as of course they ought to be for the prices! I agree Kenny. All are very good binoculars. Just different binoculars. So depending on a particular observers' wishes and preferences, or even facial anatomy, one model will suit that observer better than another. I was actually expecting field curvature to be the culprit. The Zeiss are still superb despite their age and will likely be the last of the great Zeiss Made in Germany superb quality binoculars. That would be sad news. Really can't we expect anything as good or even "better" from Zeiss in the future? I'd intended to address the same point myself, Mark. In addition to which, WHY, Erik, do you think so? Of course there is field curvature too. But also astigmatism. About future Zeiss models: If there is no change in the course of Zeiss management, I suspect we will see further cashing on the Zeiss name with ever decreasing quality in their products made to meet a lower price-point while keeping the consumer prices high. Not only in their cheaper China or Hungarian models. But also skimping quality in their top of the range products in places they hope the customer wouldn't look or notice and still charge them the full price. Without new proof to the opposite, I consider the Victory FL's the last in a great Zeiss Germany quality tradition, with the new HT being a transition model. I found the HT's ( 3 samples I've evaluated, both 8x and 10x42) less sharp than the FL's and with fieldstops in the eyepieces that were not round and had damaged edges. BIG kudos for this monumental report! I must join in the praise of your detailed report and the diplomatic language used. I am a lifelong Zeiss user with over fourth years of Zeiss experience. It grieves me to admit that the Swarovski EL and SLC WB models outperform most of my older Zeiss models. This includes the new 15x56 SLC outperforming the classic 15x60 B/GA T* model in most aspects. True, the Zeiss gives a more immersive experience mainly seen in daylight, but as you describe, the picture window aspect in the SLC is a PERFECT picture window. This difference is most noticeable when tripod mounting both models and your gaze is free to wander over the field of view. Move anything to the edge in the field in the SLC and it is just about as perfect as in the middle. Not so the Zeiss. However, and this is an important point you make, the difference is not sufficient to take anything away from the Zeiss. Both binoculars are exceptional performers. For me it is the SLC 15x56 that I will be keeping. I hope Zeiss continues to make their premium binoculars in Germany. Their 20x60 model requires a very high engineering and assembly skill. This is an area where, for the time being at least, Zeiss still excel and are world leaders. Great to have an experienced user chime in!